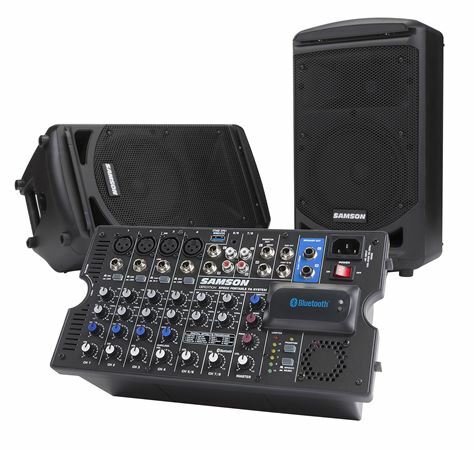 Shop Samson XP800B 800 Watt Portable Bluetooth PA System from AMS with 0% Interest Payment Plans and Free Shipping. 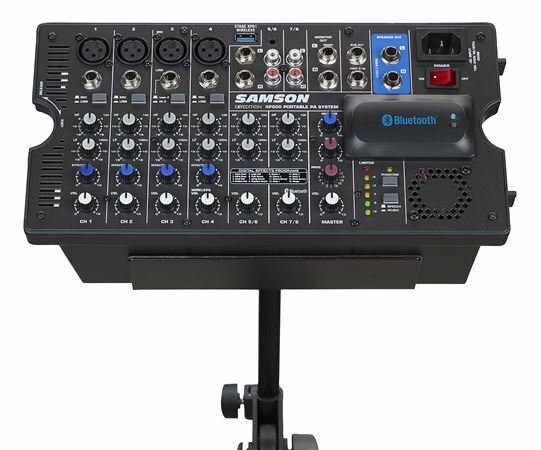 An ideal portable PA system for gigging musicians, education, business and house of worship applications, the Samson XP800B can be up and running in minutes. Mobile fitness and yoga instructors love the ease of use and clarity. 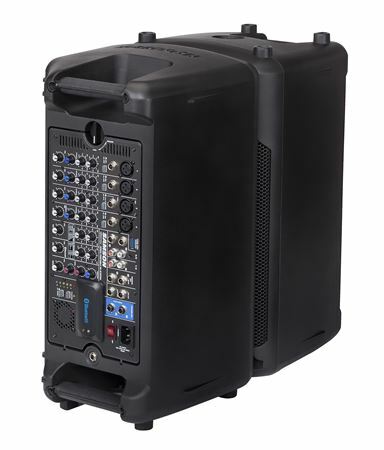 With 800 watts of power (400 per side), twin speaker cabinets (8" LF and 1" HF), Bluetooth® connectivity to stream stereo audio from laptops, tablets and Smartphone's, the XP800 is also perfect for AV presentations, parties and karaoke. The XP800 includes a USB Wireless port for integrating Stage XPD USB Digital Wireless Systems (sold separately), now available in handheld, headset and lavalier configurations. Musicians and more experienced sound operators will benefit from the XP800B's advanced features such as monitor outputs for expanded coverage with active speakers, selectable digital effects for professional sounding vocals, 2-band (Bass and Treble) EQ on all input channels, and a subwoofer output with level control for adding serious bottom for high energy music applications. 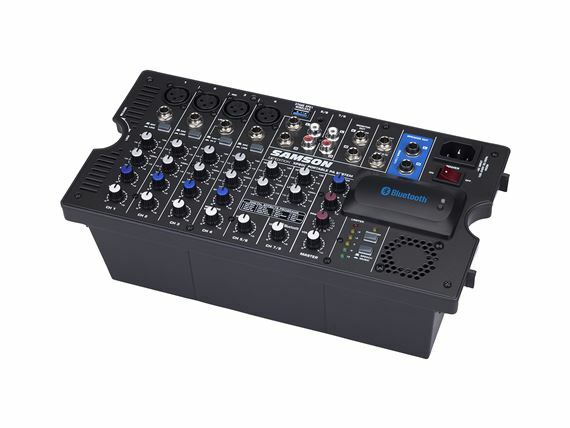 The inclusion of four mic preamps and multiple stereo connection options optimize the XP800 for band rehearsals and performances. 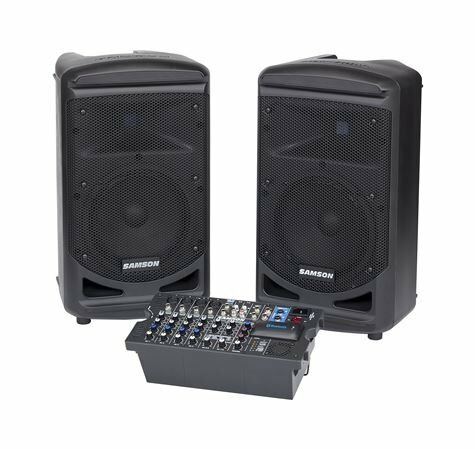 The Samson XP800B's speaker enclosures feature a tilt-back design so they can be used as stage monitors as well as with 1 3/8" speaker stands. 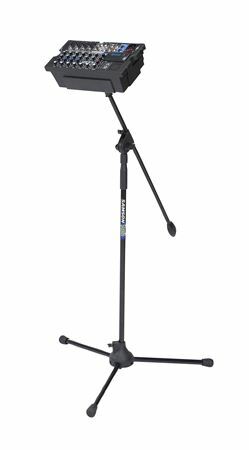 The mixer section can be removed and mounted on any standard mic stand using Samson's SMS308 Mixer Bracket (optional). It’s a great prouduct well worth the price. 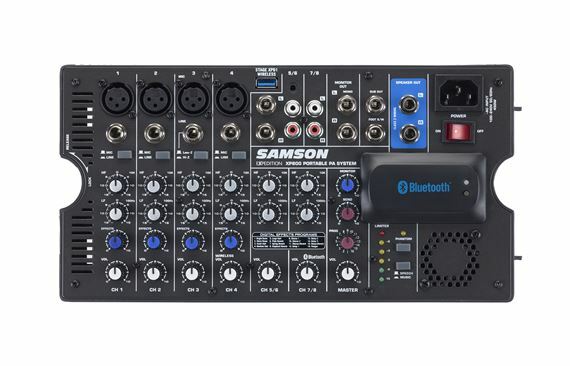 i used this system on my last 3 gigs and i found it to perfect for a small club setting.You get wonderful sound, the built in blue tooth is great and easy set up and break down . This system is a winner. Not for the professional. I should have bought a good head for the money (I have speakers). The speakers it comes with sound small. With new technology they can do wonders with sound...these speakers are not Bose if you know what I mean. 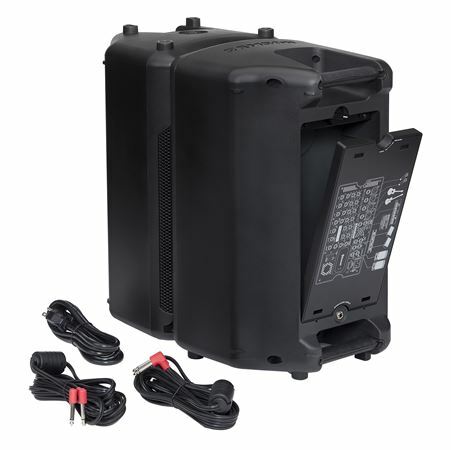 I like the additional stand and got that, I'm using some larger speakers, I play solo and look forward to trying this out this weekend. The Bass and Treble settings are simple, could use a mid-range. I want to travel light...we will see how it goes. I would like to build a small case for the amp. It fits into one of the speakers, and if I use different speakers I will need to store it some other way when transporting.